Luke Bo'sher was a key player in the development of the NDIS, working extensively on the scheme’s design in his roles as a Director at the National Disability Insurance Agency and adviser at the Department of the Prime Minister and Cabinet. In his time at the NDIA Luke’s work focused on engagement with the sector to increase housing options for NDIS participants and the delineation between the NDIS and other mainstream systems such as health and education. 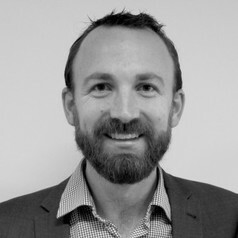 In the non-government sector Luke led the establishment of Australia’s peak body for young people, worked as a Community Projects Manager at Mission Australia and has served on the boards of community sector peak bodies and home and community care providers. Luke is studying at New York University on a Fulbright Scholarship and working for the NYU Center for Housing and Urban Policy.